Discover how you can create a more balanced life, and live with passion and purpose, while raising a disabled child. Follow along as the parents of disabled kids share their stories, their triumphs, and their struggles. 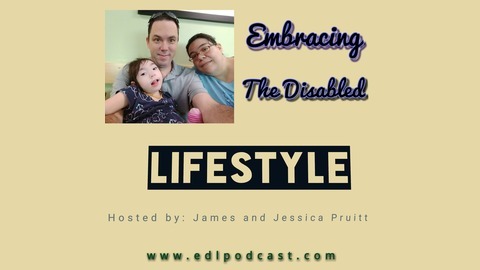 YOu can come a long and learn how to fully embrace the disabled lifestyle because life doesn't end just because your child is disabled. Life doesn’t always go according to plan. No matter how much time and effort you put into planning out your life, things will often go awry, and you will be left trying to figure out how to handle it. That is what happened to us. Before we get into that, last episode, I mentioned some special training I was going through, and that I was doing stuff to help families with their financial challenges that they face. Over the last few weeks, I went through a special class with Dave Ramsey’s team, and I am now a Ramsey Solutions Master Financial Coach, specializing in connecting families of special needs kids with resources to help them get above water, and creating plans to get out of debt, and live financially free. I am guiding families to financial freedom, because life doesn’t end just because your child is disabled. I am really excited to bring this much needed and often neglected resource to our listeners. Check out my coaching services here, and make sure to include in your message that you are a listener of the Disabled Lifestyle, and what your child’s disability is so that I can find the best resources to help you. So, some of you that follow us may know part of the reason we have been gone was because our schedule was loaded with pre-op visits for Emily’s Scoliosis surgery, which got cancelled litteraly as she was being prepped on the day of surgery. We talk about why in the episode. So, the a few days before, our A/C went out, and we were scraping to pay for that when a tire developed a bulge the day before surgery. When it rains it pours on our house. So, in today’s episode, we talked about some of the challenges we have faced lately, how we handled them financially, as well as emotionally, and what to do to cope with these issues coming up in your life. We wanted to give a special mention to our friends Jesus and Albert from So Cool Services who replaced our A/C. If you are in the Texas Hill Country south of Austin, and need A/c work, we highly recommend them. 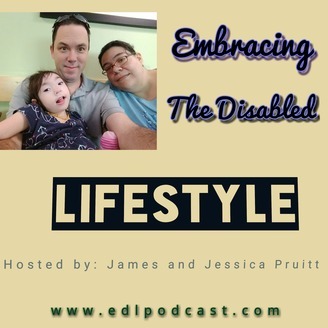 The post EDL 011: When Life Goes A Different Direction appeared first on Disabled Lifestyle.